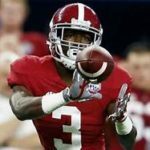 I consider Calvin Ridley to be one of the best players in the draft, but I’m not surprised to find most reputable mocks – if there are such things – have him going in the late teens to the early 20s. Scouts aren’t drooling over Ridley the way they did over top-10 picks Mike Williams and John Ross a year ago. That’s because Ridley isn’t 6-foot-4 and doesn’t run in the 4.3s. It’s yet another example of a terrific player being downgraded because he doesn’t look the part. The idea that Ridley – regardless of the particular draft class – could be picked lower than Heyward-Bey, Floyd, Austin, Parker, White, Coleman, Williams and Ross is simply laughable. 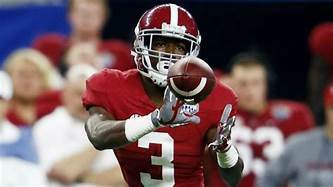 Playing wide receiver is still about running good routes and catching the football – two things the former Alabama star does extremely well. Ridley reminds me of Greg Jennings, who averaged 69 catches, 1,108 yards and 9 TDs over a five-year period for Green Bay from 2007 to 2011. I get that Jennings was a second-round pick, but would anybody complain if Ridley was selected at 14 next week and went on to put up similar numbers between now and 2022? That’s a rhetorical question. And to be honest, I think Ridley has a chance to be even better than Jennings. The biggest knock on Ridley is that he can struggle to get off the line against really physical cornerbacks. I don’t see that as a major problem, but if you’re looking for negatives, that’s probably the biggest one. He’ll need to get stronger and learn to use his hands better to combat this in the National Football League. There’s no reason to doubt those things happening. Ridley is considered a very hard worker and a fast learner. Do the Packers need a wide receiver more than an explosive edge rusher or a No. 1 corner? No, but the need isn’t that much less. Right now, undrafted free agent Geronimo Allison and his 23 career receptions projects as the starter opposite Pro Bowler Davante Adams and descending veteran Randall Cobb is in the final year of his contract. The point is, quarterback Aaron Rodgers could sure use another top-flight wide receiver. I’m not saying rookie general manager Brian Gutekunst should definitely select Ridley at No. 14. In fact, I would prefer defensive back Minkah Fitzpatrick or cornerback Denzel Ward. And I might be tempted to choose hybrid safety Derwin James, inside linebacker Roquan Smith, inside linebacker Leighton Vander Esch or defensive tackle Vita Vea. But that’s about it. 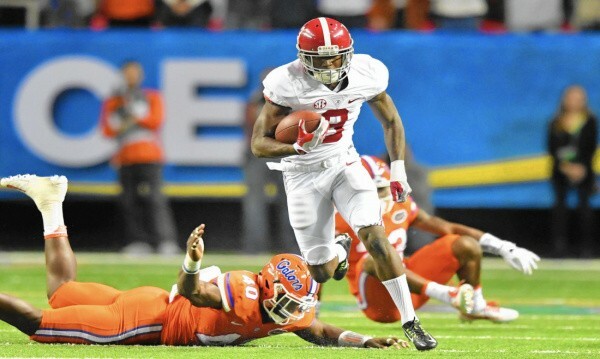 If the choice at 14 is between Ridley and any other defensive player, I’d take Ridley – even if he doesn’t look like the prototypical top half of the first round receiver.